489 Wellington Street West - Register for Platinum VIP Access! 489 Wellington Street West Condos is a new condominium development by Lifetime Developments coming soon to the Fashion District neighbourhood in downtown Toronto, Ontario by Wellington Street West and Draper Street. It is a proposed 16 storeymixed use building with 136 residential suites and 541 square metres of retail space. 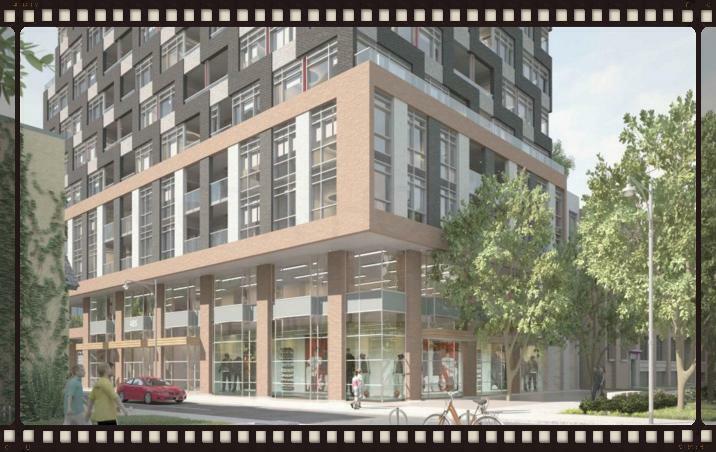 The 489 Wellington Street West project by Lifetime Developments will be located in the Fashion District neighbourhood where you can find many former garment warehouses that today have been refurbished either into galleries, condos and lofts, artist studios, offices and clothing outlets. This is the reason this area is also known as “the garment district” and residents here include a mixture of students, artists, professio nals, musicians and designers. 489 Wellington Condos is situated to the north of the Gardiner Expressway and west of Spadina Avenue. It is located close to accessible public transportation and to many parks such as Canoe Landing, Victoria Memorial Park and Clarence Square Park. There are many Toronto attractions close by including the CN Tower, Ripley's Aquarium of Canada, Harbourfront Centre, Rogers Centre, the TIFF Bell Lightbox, the Princess of Wales Theatre, Roy Thompson Hall, the Royal Alexandra Theatre, the Fort York National Historical Site and the Toronto Islands. You can also find many shops and restaurants in the area as well as neighbouring communities such as the Entertainment District, Chinatown, West Queen West and the King West Village. 489 Wellington Street West is also approximately three kilometres away from Ryerson University, two kilometres away from OCAD University and about less than three kilometres away from the University of Toronto St. George Campus. Register with us today for your Platinum VIP Access to the 489 Wellington Street West Condos by Lifetime Developments!